In her midforties and settled into the responsibilities and routines of adulthood, Dani Shapiro found herself with more questions than answers. Was this all life was - a hodgepodge of errands, dinner dates, e-mails, meetings, to-do lists? What did it all mean? Having grown up in a deeply religious and traditional family, Shapiro had no personal sense of faith, despite repeated attempts to create a connection to something greater. Long before Padma Lakshmi ever stepped onto a television set, she learned that how we eat is an extension of how we love, how we comfort, how we forge a sense of home - and how we taste the world as we navigate our way through it. Shuttling between continents as a child, she lived a life of dislocation that would become habit as an adult, never quite at home in the world. And yet, through all her travels, her favorite food remained the simple rice she first ate sitting on the cool floor of her grandmother's kitchen in South India. Poignant and surprising, Love, Loss, and What We Ate is Lakshmi's extraordinary account of her journey from that humble kitchen, ruled by ferocious and unforgettable women, to the judges' table of Top Chef and beyond. 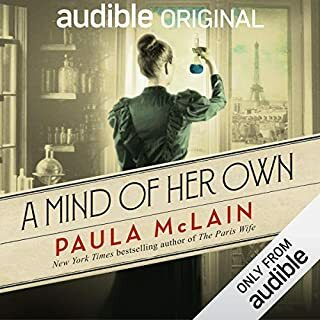 It chronicles the fierce devotion of the remarkable people who shaped her along the way, from her headstrong mother, who flouted conservative Indian convention to make a life in New York, to her Brahmin grandfather - a brilliant engineer with an irrepressible sweet tooth - to the man seemingly wrong for her in every way who proved to be her truest ally. A memoir rich with sensual prose and punctuated with evocative recipes, it is alive with the scents, tastes, and textures of a life that spans complex geographies both internal and external. Love, Loss, and What We Ate is an intimate and unexpected story of food and family - both the ones we are born to and the ones we create - and their enduring legacies. I bought this book kind of "by mistake" when I inadvertently clicked on it. I thought about returning it but since I am a firm believer in the 'messages we receive from the Universe', I didn't, and I am very happy that I kept it. This lady's story is very touching and one that many women -and men- can relate to. To be frank, it even brought me to tears a couple of times, but then again, it was also joyful and entertaining, and may I say, a little bit of a reality check. The appendix to her story was a surprise, and I was also very happy that she included a pdf with some delicious recipes. She has a soft, nice voice which makes it a very enjoyable listen. I do recommend Padma Lakshmi's book. I was immediately surprised at the exceptional narration. Expressive and believable. Padma’s impressions of her mother, other family members, and of her partner Teddy made me smile. She really could have yet another career in narration. I've watched all the episodes of Top Chef--some several times--and knew that she had much knowledge about cooking. She has several nice cookbooks and this book confirms her expertise. I'm not a great fan of Indian food, but Padma’s descriptions of her family’s kitchen and the loving way they prepared the complex dishes compels me to make a list and go to our top-rated Indian restaurant and see if they have them. Padma’s descriptions of her agonizing endometriosis is wrenching and now I want to re-watch the seasons of Top Chef to try and figure out what was going on in her life at the time certain episodes were filmed. She sure soldiered through them. My only concern with this story is her insecurities. Rushdie seems to be an arrogant misogynist and no matter his intellect, talent, and fame, I cannot fathom her attraction to him. He berated her for claiming to be in pain and he never was happy for her successes. Teddy came across as a lovely, honest, and very older man. Dell is portrayed as a petulant child. Her dalliance with more than one man at a time was unfortunate, yet understandable considering her life events. It’s too bad she got criticized for that. Some call her selfish and calculating. I did not see that in her. Men get away with that every day. (Maybe this is why she wrote the book?) On the other hand, she does admit in the book that she has Daddy Issues, so there you go. It seems weird to me that she does not seem to know what she actually looks like. Who even notices the scar? A few reviewers were bored with her tales of baby Krishna but I liked hearing what she was fed and why. Her love for her family shines through this entire book. What is lacking: I wanted more information about Top Chef. Still, this is an entertaining and educational listen and is great inspiration to make pickles. I Loved This One! Padma is great! Padma tells all. 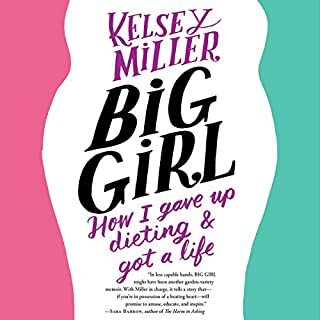 She is incredibly open and honest about her life--her romances, her medical issues, her family, how she got to where she is, how difficult it is to eat all that food and stay slim, etc. etc. etc. Oh, and yes, she does know alot about food! Lucky for you and me, she shares some of her favorite Indian down-home comfort food recipes with us in a pdf. Padma narrates her memoir which is as it should be. All in all, I really loved this book and highly recommend it! I wasn't sure what to expect. I hadn't needed to fret. Padma tells her story in such a way that you are drawn in deeply. She uses immense respect to describe and include, those affected or involved in her life. Her descriptions of scenery, scents and tastes are marvelous. Nicely written. Thank you for sharing your story. Much more than you imagine it will be! I might even insist my friends read it! This story is not even similar to any story that has been told before. The author has the most generous heart,in making all of the other characters come to life and seem magical, without ever drawing your attention on her, after the first two chapters. In an odd way, the entire story at the end, seems not be about her at all, but about all of the others that crossed her path. The fact that she was able to take in so much about the people, the environments, the particles of humanity, inhumanity, systems, traditions, rituals symbols and cultures makes is remarkable. It is as if she was constantly doing the math and coming to the sum total and putting it all neatly in a column for review. To pass on, to you. Difficult not to think of them all as favorite characters. What about Padma Lakshmi’s performance did you like? 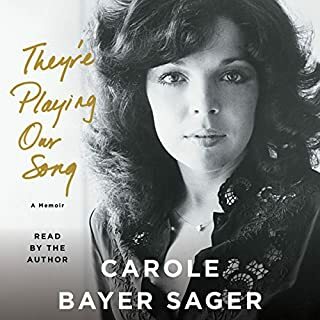 There is a sincerity in her voice that is so full of truth, and an even sanity in her telling, without her own attitudes entwined in the telling, you forget you are reading (in this case, listening). She does not stand in between you and story with her own emotion. It is a very clear narration wherein you forget she is there because she is not imposing on you. If that makes any sense at all. She leaves you to have your experience with the story. Yes, became very disturbed when I had to recharge my ipod. The book got off very slow for me right in the beginning. Sounded perhaps like a magazine article for the first few minutes. Once it went beyond her describing her physical illness, this book just took off like a Rudyard Kipling novel! As if she found her voice, that fast, boom! The stories of her youth in India, the way she brings you into the space of the people she describes, you can see them, smell them and yes, even feel them. By chapter five I was well, kind of shocked! As a constant cooking student, I watched many episodes of top chef while peeling potatoes and preparing meals. Her book, her story and her life are so much bigger than that show. I have never so wrongly underestimated someone in my life. 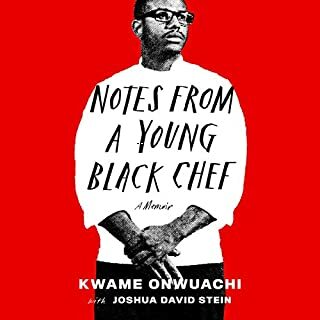 Interesting memoir about culture, family, food, identity, talent, and coming of age in a different country (America after a childhood in India). Lakshmi comes as off as warm, sensitive, and yet calculated and determined. Her marriage with Salmon Rushdie was immature and flawed, but she has matured greatly since then. She narrates the book herself and I was drawn to her voice. Top Chef fans will enjoy the story. 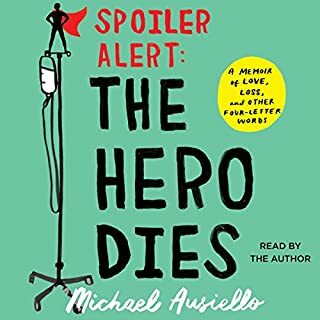 I listened to this book on audio while spending time driving. I really enjoyed her journey and I now want to go find an authentic Indian store to stock up on spices and ingredients. I wish Padma much happiness during the rest of life's journey. 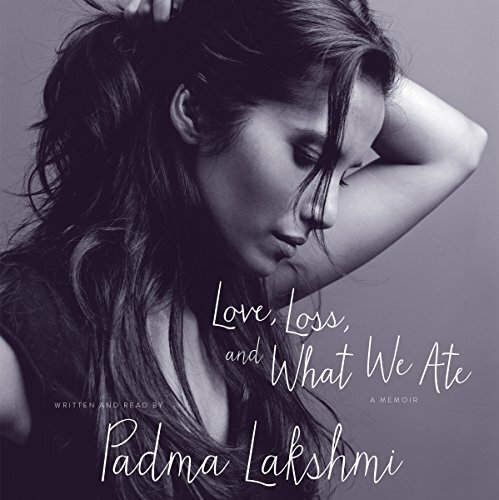 Would you try another book from Padma Lakshmi and/or Padma Lakshmi? Padma has led an interesting life and didn't shy away from sharing very personal stories that put her in a bad light, which is sort of a double-edged sword. I started to get annoyed with the way she handled the situation with her daughter's father and wanted to shout back at her. But everything ended well. This was such a lovely and unexpectedly warm, and grace - filled book. I'd always sensed there was more to Padma Lakshmi than a beautiful face, and a knack for food. What made the experience of listening to Love, Loss, and What We Ate the most enjoyable? Padma's narration was the best choice for this book. Padma's tone is absolutely honest and stark. She bares her soul and I connected immediately. It was comforting to learn about her challenges in life, the many difficult obstacles thrown her way and how she coped. I found similarities in her challenges and the obstacles in my life. I felt that she was verbalizing what I'd felt it these times- I could connect to her experiences.This gave me strength. I could relate to the way she felt after her divorce. The loneliness and shock, the emotional pain and exhaustion, the frustration of being misunderstood I related to all of it even though I've not been married. As an actress I could relate to her work and its' challenges. This was very refreshing. I was hopeful and glad to learn about the rock Teddy was to Padma, the partner I hope to have by our side. His character and heart were a big inspiration. I admired his unwavering support of her and his lighthearted flexibility/sense of humor. I cried about his passing. As an immigrant to the United States I relate to Padma's experiences of belonging and not, to her observations. Her narration brought me close to her experience. I salute her courage to tell her story in such great intimate detail without flinching. My life has been enriched by a stranger whom, apart from seeing occasionally on tv and billboards I had no knowledge of or interest in. The title and Salman Rushdie reference grabbed my attention, but it was a clip of an interview with her promoting the book that really made me look up the book. 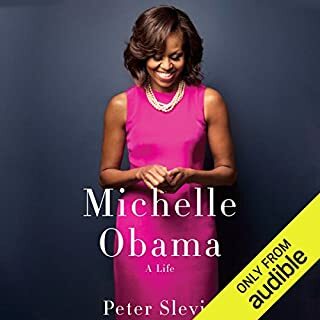 So glad it was available on Audible. Padma Lakshmi is a timeless teacher. I am profoundly moved and grateful to her for this experience. She is a noble and generous female spirit.